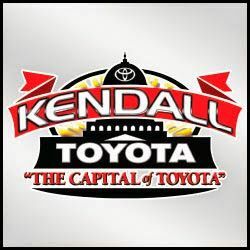 Kendall Toyota - It took years of hard work and dedication to help Kendall Toyota become one of the largest Toyota dealers in the Southeast U. S.! It took years of hard work and dedication to help Kendall Toyota become one of the largest Toyota dealers in the Southeast U. S.! It didn’t happen overnight, but instead it took place because of a vision that continually and insistently put our customers at the forefront of our business model. While we have an uncompromising selection of new Toyota models, from the newest RAV4 crossover to the Toyota Camry sedan and the Toyota Prius Hybrid, it’s our commitment to you that has made us who we are today. Keith Pierson Toyota is a family owned and operated dealership that places customer satisfaction as it's highest priority.